May 30-31, 2018 – As part of Ayala group’s #BrigadangAyala2018 program, AC Energy employees, together with their family members and friends, took time to roll-up their sleeves and heed the Education Department’s call for volunteers in this year’s Brigada Eskwela in Manila and in Negros Oriental. 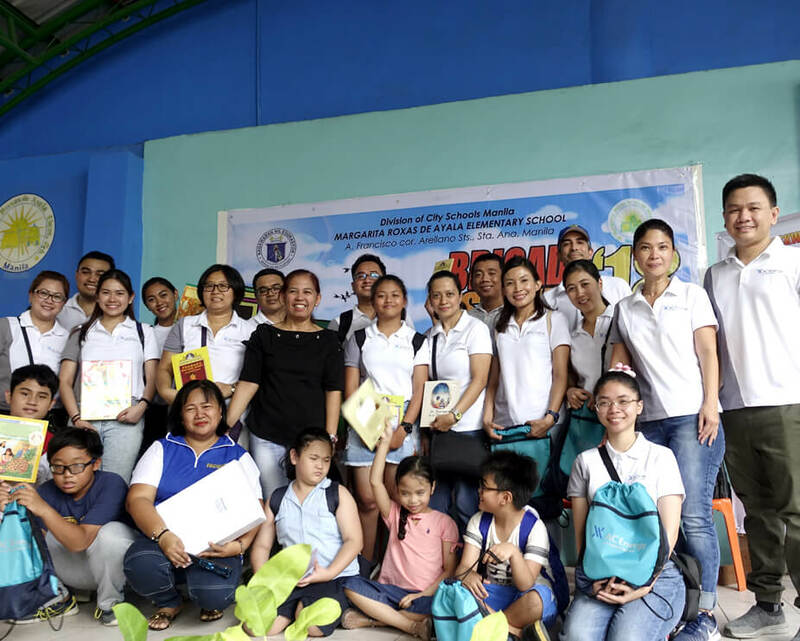 The Manila group adopted the Margarita Roxas de Ayala Elementary School in Sta. Ana, while the Negros team headed to Praxevilla Elementary School in Bais City. Apart from the painting materials for the classrooms, the team also handed out bags and school supplies to needy students in both schools. #BrigadangAyala2018, which is spearheaded by Ayala Foundation, aims to bring together Ayala employees to help out in this meaningful initiative of the Department of Education. The program targets to engage around 3,000 volunteers across the Ayala group this year.